I've stepped off, and done it. I am working, in real life, with The Giving Heart of Richmond, Virginia. 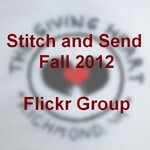 My goal is to gather 200 sewn bags to donate to their Thanksgiving Feast event this year. Each year staff and over 500 community volunteers serve a truly festive Thanksgiving Feast to more than 3000 guests! At that event each guest receives a Giving Bag tote filled with toiletries, diapers, non-perishable food items, toys, hats and other living essentials. These tote bags go to seniors on limited incomes, homeless individuals and families who have come upon harder times. Can you help me sew 200 bags? Do you know someone else who can? I need your help! 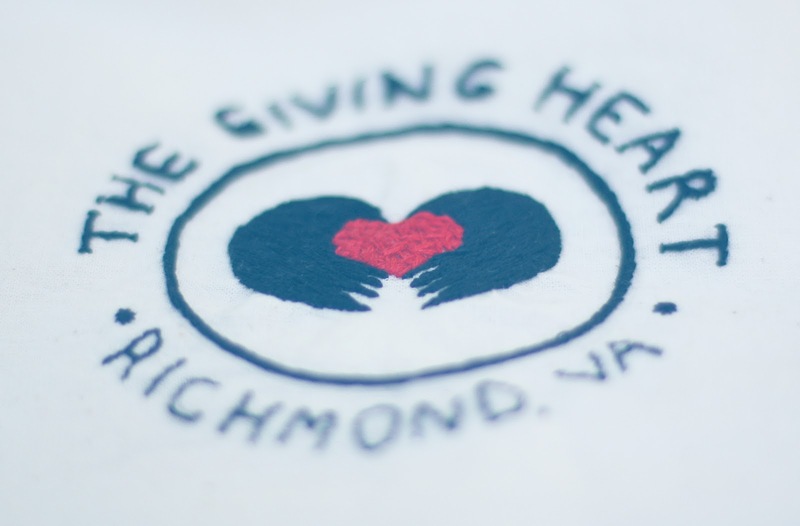 People in Richmond Virginia need your help! You see, typically donors give grocery totes and canvas totes from professional conferences and the like. While these serve the Giving Bag purpose, I am imagining something bigger. Imagine something better. How special would it be for an older senior to receive a beautiful, simple, tote bag made of colorful printed cotton canvas from you? Would you like to receive something just like that? I know I would and that is my aim: to go above and beyond and gift beauty, something genuine, and sturdy to a person who really needs a gift more than I. I want to give a gift that I'd feel honored to receive. So how can you help? Firstly, you don't have to know how to sew...you simply need to want to give of your creativity. For the beginner sewer, doesn't take long to make a tote bag. And it doesn't require much material either. If you are a sewer, you may even have some extra fabric already in your stash that you'd be willing to give. For the non-sewer, grab a sturdy canvas tote and decorate it how you'd like. (Canvas totes are available at craft stores, or you may have one already.) Be creative. Adorn with passion. And remember these will be given to men, women and children. Blog it, e-mail it, Tweet it, post it on your Facebook page, and all the other social media ways you pass along the next best thing. Pray for me. Only the Lord knows if I will succeed and what my success will be. My goal is to gather 200 bags. If you can send me just one, we are well on our way to making that extra special gift happen for someone on Thanksgiving. Need a tutorial? Here is a list of simple tote bag tutorials. Or visit my Pinterest page where I keep track of all the talent I am finding. 200 totes by November 9! That is about 4 a day! Can I do it? Not without your help. I am talking totes for women, men and children! Make them large, make them small, make them pink make them purple, make new, or recycle...use your creativity! Your donated bags are appreciated already. Please spread the word, and don't forget to come back and check my progress! A very exciting update is to come in a couple of weeks! If you have other questions, comments for me, or if you would like help spread the word to your readers, friends, or group and inspire creativity e-mail me at abbieipark(at)gmail(dot)com.